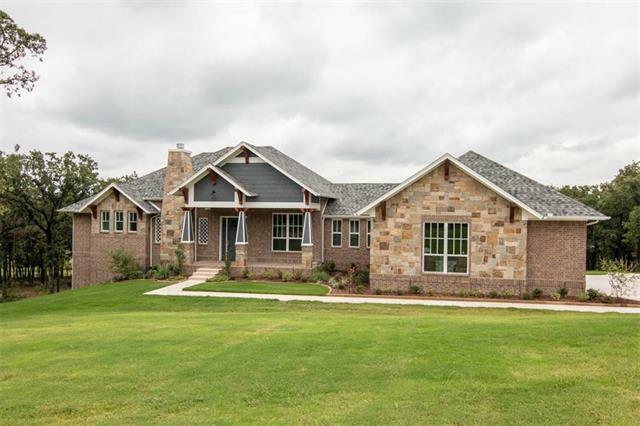 All Burleson homes currently listed for sale in Burleson as of 04/23/2019 are shown below. You can change the search criteria at any time by pressing the 'Change Search' button below. If you have any questions or you would like more information about any Burleson homes for sale or other Burleson real estate, please contact us and one of our knowledgeable Burleson REALTORS® would be pleased to assist you. "WOW! Hard to find acreage in Burleson! 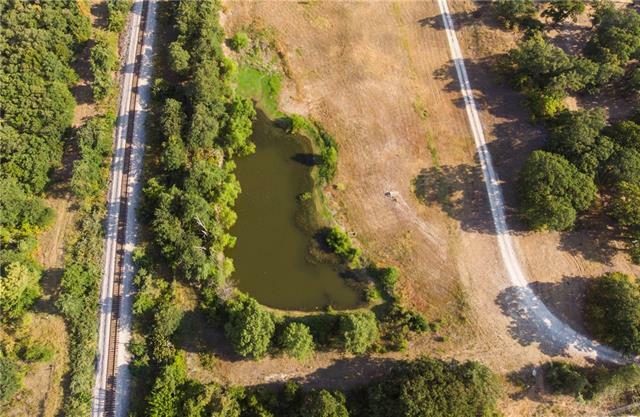 60 total acres, which can be subdivided into 3 separate parcels! This land is ready to build on and heavily treed, pond and close to all Burleson amenities!!!" "CUTTERS AND ROPERS LOOK NO FURTHER- 20 min to Will Rogers, .5 mile off 35. 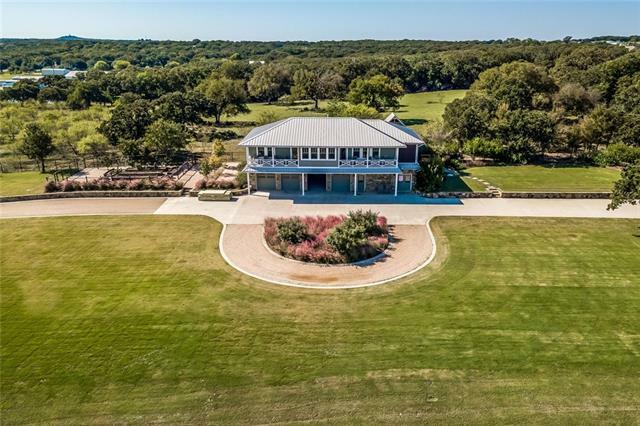 Brushy Creek Ranch! Beautifully manicured 78 ac. has established itself as one of the premier equine properties south of FW. Stadium-style seating & apx. 120x250 indoor arena with 16 stalls would house an ideal cutting horse facility also. Beautiful 4 BR home with 800 SF cabana & covered RV hookup makes it ideal for guests. Steam room & separate restrooms. 2 additional barns, 2 apts. 28 stalls, office." "Builders and developers welcome! Burleson is the next hot spot! This beautiful farm has been owned by the same family since 1946. 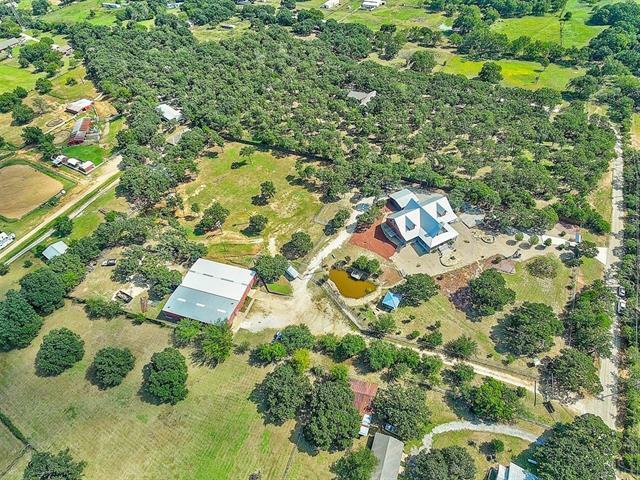 It is 78 acres of gorgeous rolling hills and gigantic oak trees, a clear running creek, and stock tank. Deer and wild turkey are abundant. Water and sewage is already on the property. The house on the property has been removed. There is no longer a house on the property." "Unbelievable opportunity due to Buyer fall-out from recent auction. Highly motivated seller offering this magnificent Property of Distinction Mediterranean style inspired manor designed for 1 story living. Why climb stairs if you don't have to! 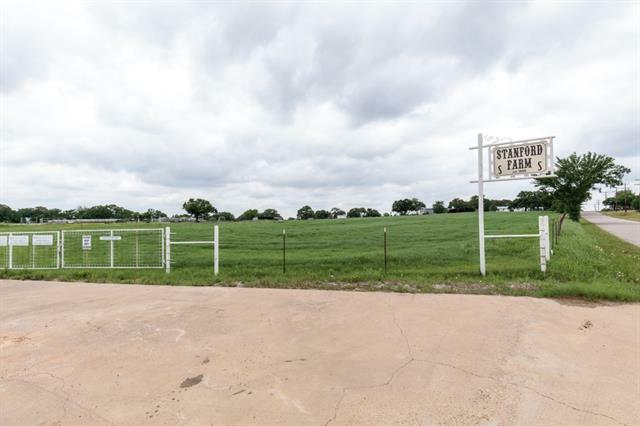 The property is privately positioned on 2.7 fenced acres. The guest house is completely self contained with a BR, full kitchen and bath. The prop is 10 mins to Spinks Airport. 20 mins to Ft Worth and only 30 mins to DFW Airport. 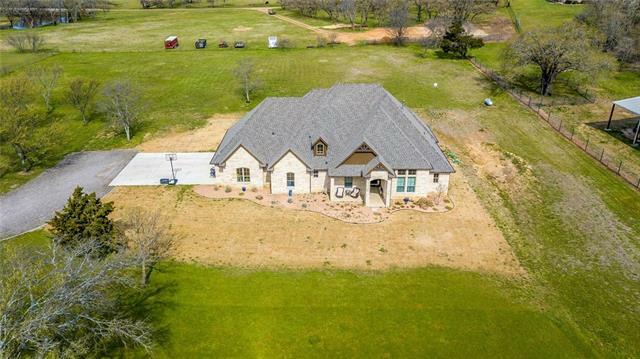 Entertaining and hosting"
"35 acres located in Burleson! Lots of trees a pond and 2 houses. 1st home 5112 Sq Ft 4 BR 3.1 Bathroom. Open Floor plan with living room, dining and kitchen. Island in kitchen, ceramic counter tops, built-in desk with bookshelves, Master bedroom with large walk-in closet. 2nd floor has a .media room, bathroom, and game room. Utility has shower, toilet and industrial sink. Built in Linen closet in hall. Large garage, outdoor Gazebo 2nd house 2046 Sq ft is 2 stories-3 bedrooms, 2 bathrooms. lo"
"Come see this amazing mediterranean style estate that boast 5 bedrooms, 4 baths, and a back yard that will be your personal oasis. 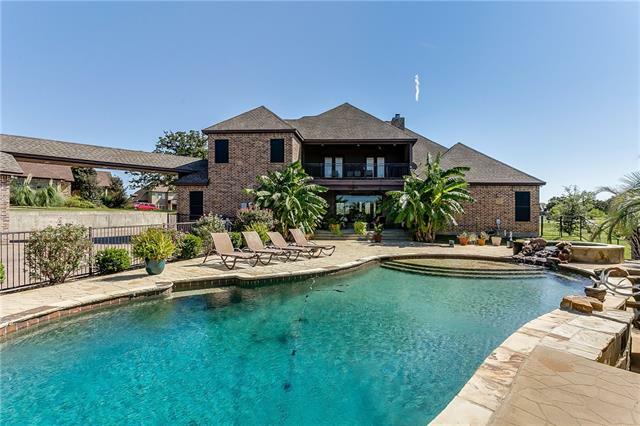 Located in the highly coveted gated Oakmont Estates, this house offers a gourmet kitchen with granite counter tops, hard wood floors, & unlimited storage around the house. Large living areas that lead you to the 65ft heated infinity pool with cabanas that will make you feel like you are at a resort. The outdoors also offers a full outdoor kitchen, large fire pit, & c"
"Simply the best of everything has been put into this property! 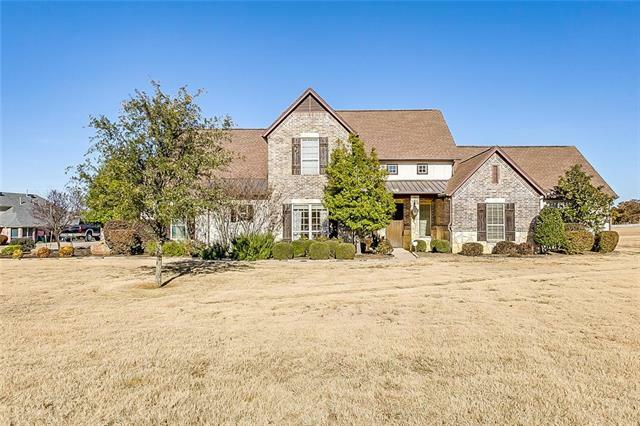 High-end custom home, 6,000 SqFt plus 1380 SqFt of wrap around porch area, sitting on a 5-acre lot. If that is not enough, there is also an 8,100 SqFt shop with 3 rolling steel doors, 2 office's and break room! Outside of city limits! Get into town with ease! Pipe fencing with electronic gate!" 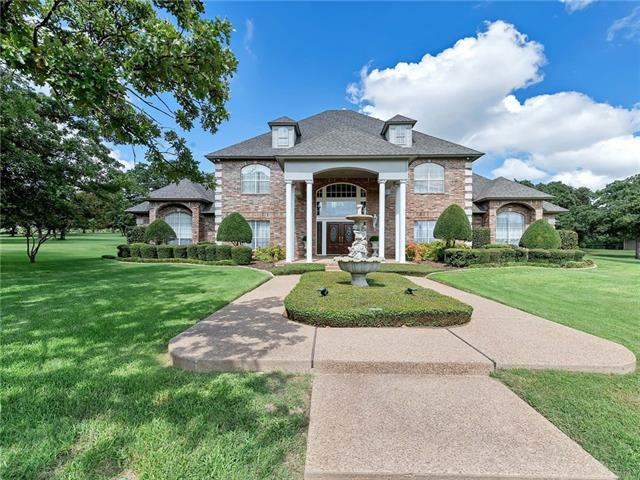 "Beautiful country estate on well manicured 15 acres. 3-2 home built above 4 car garage. Modern kitchen w tons of cabinets, gas cooktop & island, open to dining & living. Prep area w 2nd sink & utility behind kitchen wall. Master w oversized tiled walk in shower. Windows everywhere, open patios & enclosed patios overlooking property. Outdoor cooking area. 3 stall horse barn w runs, concrete floor w rubber mats, indoor wash area w hot water, sink, utility room, bathroom. 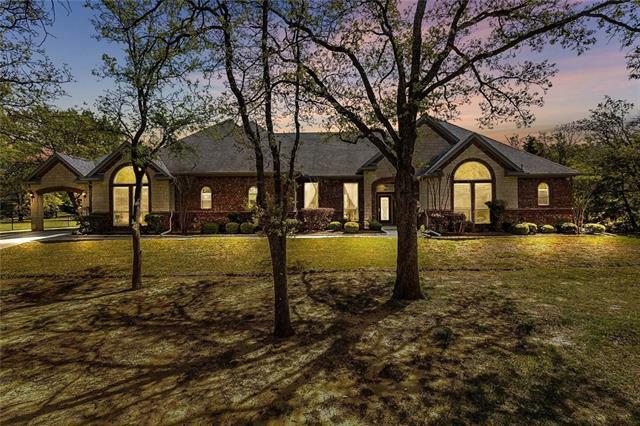 Loafing shed split between"
"Spectacular colonial estate on 10+ acres in Joshua ISD. Private and peaceful, this estate is perfect for entertaining or family living. Easy access to the Chisholm Trail Pkwy makes for a quick commute to shopping, dining and downtown Fort Worth! This property has it all! 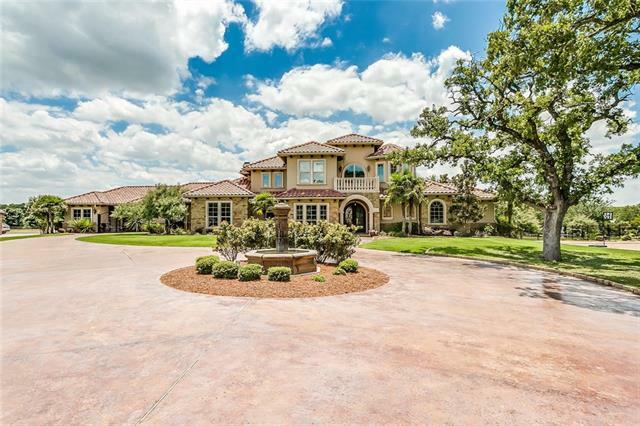 Gated entrance, manicured grounds, swimming pool & spa, an amazing outdoor living area cabana for relaxing or entertaining by the pool and barn with 3 horse stalls and extra storage space! Horses welcome! Interior features incl"
"WOW! Hard to find acreage in Burleson! 20 acres in this center section of total 60 acres! 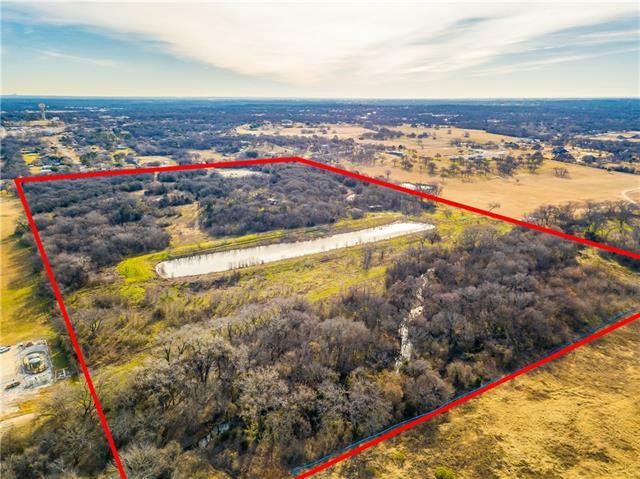 This land is ready to build on and heavily treed, pond and close to all Burleson amenities!!! Please see additional information regarding subdivision"
"Stunning executive estate on almost 3 acres in Gated Taylor Bridge Estates. This home boasts circle drive,gorgeous curb appeal & is situated on a cul de sac. Living area has large glass window overlooking the back yard oasis. Kitchen is a chefs delight with breakfast bar, huge island, brick fireplace & built in dining table.Gameroom is perfect for entertaining with wet bar & leads right outside to the outdoor living area with sparkling pool & outdoor kitchen area. 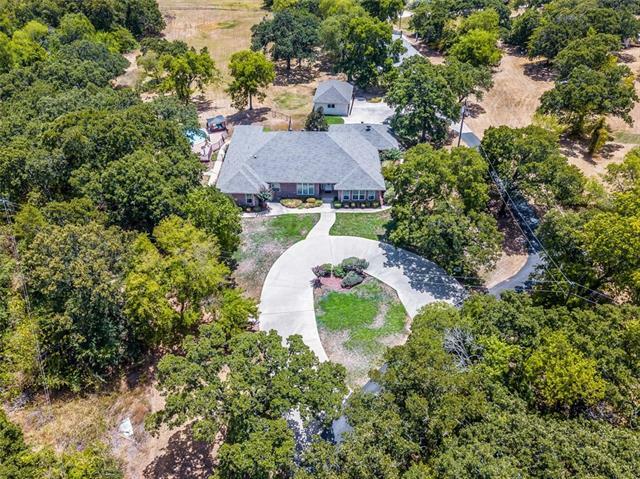 Huge master suite with jetted t"
"Over 4700 sq ft in the main house and an additional 1200 sq ft in the Pool house all on 1.3 acres. The addition also offers 1200 sq ft of RV Bus parking. 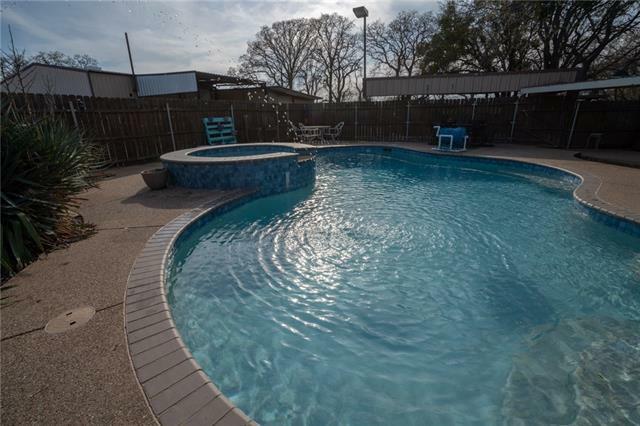 Summer is right around the corner so come enjoy this wonderful salt water pool with beach front entrance. This Gorgeous 2 story features 4 bedrooms, 5 and a half baths. There are 2 bedrooms down and and 2 up. There is a play room and the 3rd living area as well. 3 Full car garage. Complete custom media room for enjoying family fun night. Th"
"Fabulous 3-2 COUNTRY HOME ON 19.79 ACRES. Highlights: Open concept living w WBFP, formal dining and beautiful kitchen w black appliances, double wall oven, solid surface countertops, walk in pantry, island breakfast bar. Lots of windows. Master with jetted tub & walk in shower. Wood floors in main areas, carpet in bedrooms. Covered front porch & back porch with stone columns and hot tub for relaxing or entertaining. Guest house with full kitchen, living, bed & bath. Automatic solar gate, barn, b"
"This stunning home welcomes you in with it's stately corner entrances! The floor-to-ceiling foyer windows create a beautiful visual to the expansive back yard with a large pool that boasts a tanning ledge, diving rocks & a slide! The outdoor living space is gorgeous and offers built-in kitchen center, outdoor bathroom, stone fireplace with a large covered area! The interior has a great layout with split bedrooms, the Master closet you're dreaming of & a fireplace in the Master bedroom! The ope"
"Southern Charm Custom Home with Southern Comfort! Great Place to Entertain in Texas Style! 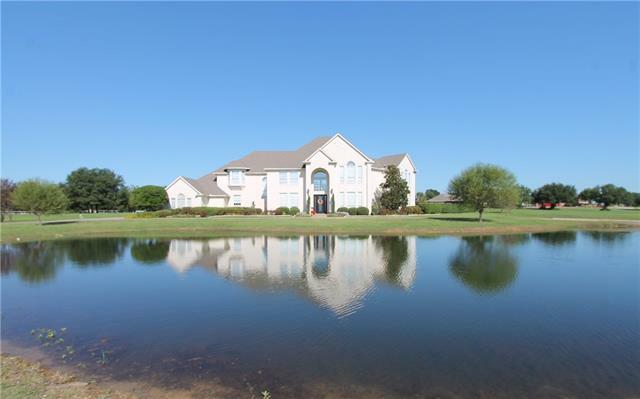 A 3.15 Acres with Stocked Pond and Pool. 4 Plus Bedrooms, 3 Car Garage, Full Attic Stairs in Garage, Office, Exercise Room, 3 Living, Dumbwaiter, Laundry Chute and On and On . . ."
"Fabulous custom home on 2.6 acres w barn in quiet cul-de-sac. Grand entrance, formal dining, welcoming living room w white stone see through fireplace, built in entertainment center, open to dream kitchen kitchen w dark granite accented by stainless appliances, double oven, gas stove, built in fridge, breakfast bar, island & informal dining room. Great room w FP, built in safe, wet bar, room for refrigerator & game table. 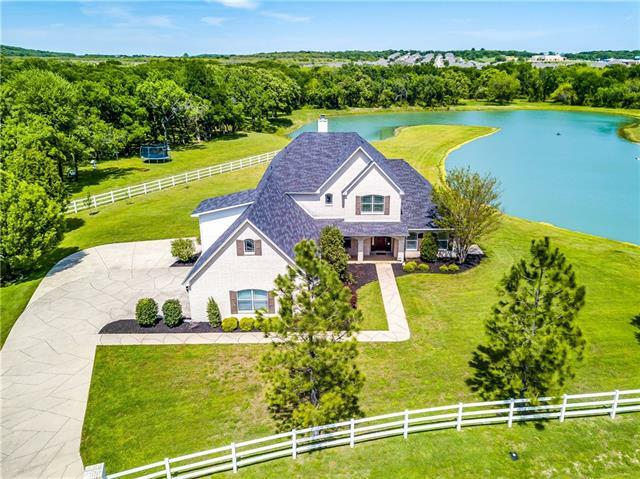 Oversized master suite w built in bookshelves & cabinets, french doors to "
"Builders beautiful 4 bedrooms ,3.5 baths,3 car garage built in 2016 on 6.61 acres with pond.Home has lots of extra's.game room has a basketball goal.Outdoor kitchen,Out door shower.Pictures shows it all. It has an office and a mud room." "Your dream home awaits you! This 4 bedroom 4 bath home is waiting on your family! This 4440 sqft, 2 story home has features that never end. The master bedroom has a large master bathroom with a large tub and walk in shower. It also has walk in closets. There are 2 living areas to host family get togethers. You will love cooking meals in this giant kitchen! There is a media room to have family night and watch movies! As if all of that is not enough, you can escape to the backyard oasis and enjoy "
"This beautiful three-bedroom, two and a half bath home rests nestled among large trees on seven acres, just outside the city limits. Upgrades include Corian countertops, luxury vinyl floors, and fresh paint. The second-floor loft is a wonderful flex space for a game room, office, or crafting (and includes a special nook!) Relax in the backyard or entertain friends and family with a built-in patio grill, inground pool, and hot-tub. 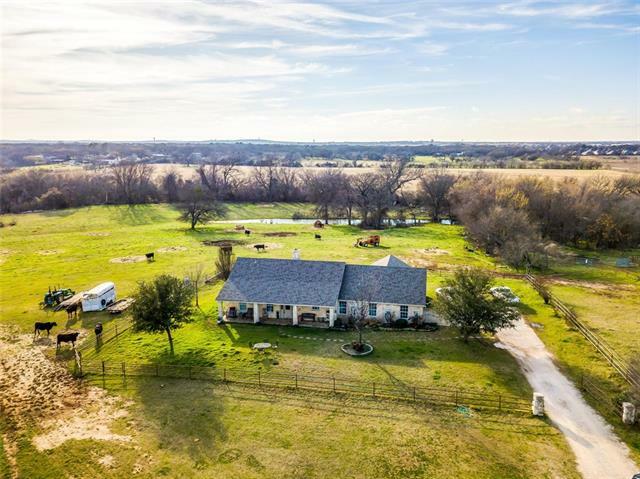 This property also features: a 4,000 square-foot shop with"
"Welcome to your Ranchette just outside the city of Burleson with a sprawling 8+ acres, barn, workshops, pool, garden & more. This well-loved home features 4 bedrooms, 2 baths, office & multiple living spaces. Step out on to your private deck with hot tub from the master & enjoy the inground pool, fruitful garden & acres of country oasis. This property has multiple outbuildings with so many possibilities. 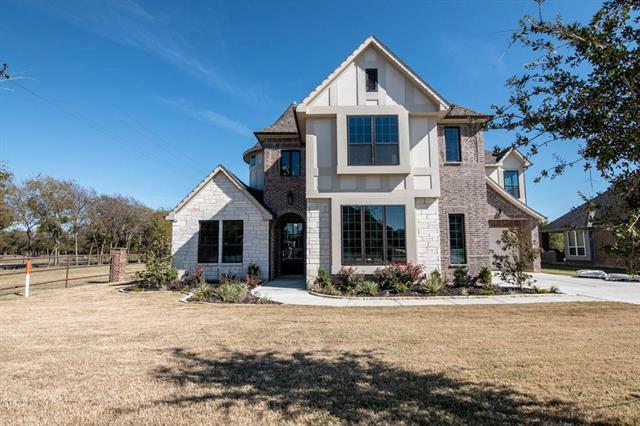 Located in prestigious Mansfield ISD this property is move-in ready yet has the potential fo"
"Magnificent Windmiller Custom Home! This 4 Bedroom, Ranch style home has a lower level Basement that has 3 Bedrooms and a Game room!. Beautiful custom details throughout with 3.5 Baths, a Home Office, Formal Dining and a unique built-in Breakfast table on the large island and open Kitchen. A large covered patio and balcony give extra living space as well as a 3-car garage and a home site with acreage. Luxury galore abounds with gorgeous finish out, wood floors, mud room and so much more. 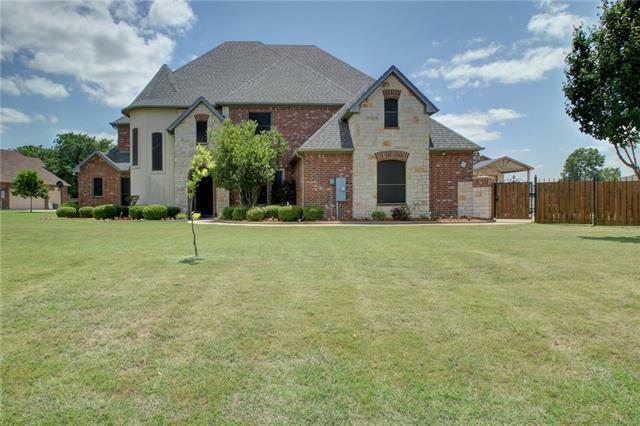 Come ex"
"Beautiful custom built 2002 home on 3.78 acres in Burleson. A rare find. This home features an open concept living, kitchen divided by bar. Kitchen has double oven, built in Microwave, compactor, ice maker and dishwasher. 4 large bedrooms, 2 masters. Handicap accessories in 2nd master. Home has a huge covered patio, above ground pool and separate hot tub covered by gazebo. 2 car attached garage and 3 car detached garage with 2 garage door openers. 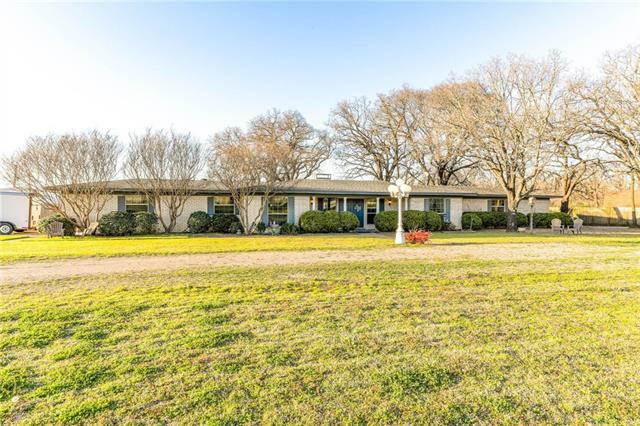 A separate 716 sq ft. efficiency apartment with "
"Stunning home on 1.7 acres in Willow Creek Ranch. Home has 3 car garage & stamped concrete driveway. Gorgeous foyer with marble floors. Formal living & dining with wood flooring & picture windows. Open-concept great room has dual sided wood-burning fireplace, soaring ceilings, built-in shelving, grand staircase & wall of windows that showcases the huge sparkling pond. Large kitchen with granite countertops, 5-burner gas range & breakfast bar. Breakfast room has built-in desk & french doors to "